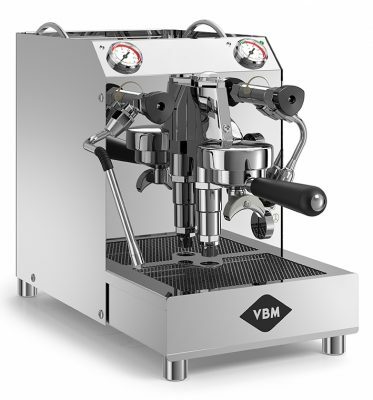 Coffee and Equipment are proud to supply Vibiemme Domobar machines. Domo is Italian for home, Bar is Italian for Cafe – Domobar: Cafe at Home. Vibiemme founded in 1976 by Carlo Valente, (who previously founded Faema) then becoming consolidated under the Osnato family spanning 40 years of History. 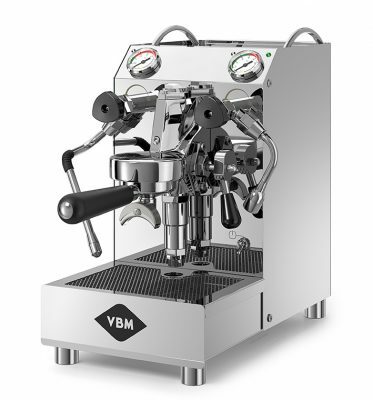 Domobar is the 1st espresso machine for domestic use equipped with the VBM E61 group head. in 27 years of development it leads the way in espresso machines for home users, embodying the image of style and quality of life, reliability and are strictly made in Italy. Boiler & Pump Pressure Gauges. Domestic machine using commercial parts. DOMO = Home / BAR = Café. Re-engineered Heat Exchange system for the NZ Market. Solid state relay controlling element. Incredible thermal stability to 10% of 1 degree – shot after shot. Make no mistake, this is the ultimate at-home commercial espresso machine for those who really know their coffee. Built to last and made to deliver a perfect cup every time. Water reservoir cut off sensor. Coffee machines for home espresso making. 100% made in Italy since 1979 and re-engineered by Espresso Engineers for New Zealanders. Domobar’s heat exchange ensures a consistent 92° coffee temperature and the most powerful steam pressure in its class. This means a rich fragrant well balanced espresso together with thick velvety milk. Small but perfectly formed. Designed in New Zealand, constructed using quality parts to ensure café quality coffee and sized to perform just about anywhere.